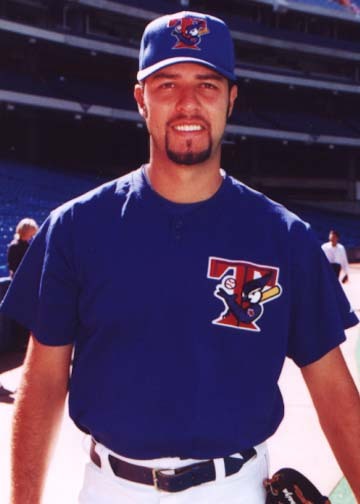 Fifteen years ago today, in what many consider to be the worst trade in franchise history, the Toronto Blue Jays acquired Esteban Loaiza from the Texas Rangers for a package of players that included Michael Young. • I can’t wait to watch the defending champion Canadians take on the United States in the Pan Am Games gold medal baseball game tonight. This is a dream match-up for the Pan Am Games and their TV rights holder, CBC, in a sport that has more widespread North American appeal than any other sport in the competition. And the timing is perfect, the Toronto Blue Jays game will be over in the afternoon and the gold medal game is set to start at 7 p.m. It should be a surefire ratings hit. What’s that you say? It’s not going to be on TV? You’ve got to be kidding me. To hear an explanation as to why it’s not being broadcast, you can read Hall of Fame writer Bob Elliott’s column here. In fairness to CBC and the Pan Am Games organizers, the game will be live streamed on CBCSports.ca. • I have great respect for North Delta, B.C., native Jeff Francis, but I have to admit I never thought I’d hear the words “Jeff Francis” and “closer” in the same sentence. The soft-throwing southpaw has secured saves against strong Dominican and Cuban clubs for the Canada in the round-robin portion of the Pan Am Games. Francis, who will start tonight’s gold medal contest, has also excelled as a starter and a reliever in triple-A Buffalo this season. In 12 games with the Bisons, he has posted a 1.80 ERA and a surprising 50 strikeouts in 50 innings. And with left-hander Aaron Loup’s ineffectiveness with the big club this season, the Blue Jays might revisit Francis in a middle relief role later this season. • Today represents the 15th anniversary of arguably the worst trade in Toronto Blue Jays history. With a 51-45 record and trailing the New York Yankees by just a game-and-a-half in the American League East, the Blue Jays, with Roy Halladay shipped to the minors and Chris Carpenter demoted to the bullpen, desperately needed a starting pitcher for the stretch run. With that in mind, Blue Jays general manager Gord Ash contacted his Texas Rangers counterpart and Canadian Baseball Hall of Famer Doug Melvin about right-hander Esteban Loaiza. Loaiza had been a relatively reliable starter up until that season, however in 2000, he had posted a 5.37 ERA in 20 games and had been relegated to relief duties. But eager to make a move, the Blue Jays offered the Rangers 25-year-old right-hander Darwin Cubillan, who was 3-1 with a 0.55 ERA in triple-A, and one of the players on a list of middle-infield prospects that included Felipe Lopez, Brent Abernathy, Cesar Izturis and Michael Young. At the time, Young was a 23-year-old second baseman toiling in double-A and was the lowest on the Jays’ depth chart, but the Rangers scouting staff liked his athleticism and versatility and Melvin asked for Young in the deal. Hindsight is, of course, 20-20, but the Jays finished third in their division and Loaiza went 5-7 down the stretch and was even less memorable in his ensuing year-and-a-half with the Jays. And while Cubillan was a bust with the Rangers (10.70 ERA in 13 games), Young would be selected to seven all-star games over the next 14 seasons. During that period, he recorded six, 200-hit seasons, hit over .300 seven times and won a batting title in 2005. • Bo knows middle relief. In 37 appearances since the beginning of spring training, including his tenure with the triple-A Buffalo Bisons, Blue Jays right-hander Bo Schultz has posted a 1.51 ERA, .875 WHIP and possesses a 96-mph fastball with movement that many closers would kill for. • Kal Segrist, an infielder who played for both the International League’s Toronto Maple Leafs and the Pacific Coast League’s Vancouver Mounties in the 1950s, passed away on June 26 in Lubbock, Texas, at the age of 84. Segrist, who competed for parts of 11 minor league seasons and had brief stints with the New York Yankees and Baltimore Orioles, enjoyed his finest professional season with the Mounties in 1956. In 98 games with the Canadian club that campaign, Segrist batted .333 and walloped nine home runs. He returned to Vancouver in 1957 to belt 15 homers in 148 games. After hanging up his playing spikes, Segrist became a highly respected coach at Texas Tech University, serving as an assistant coach of the baseball team from 1965 to 1967 and head coach from 1965 to 1983. He is survived by his wife, Betty, and four children Scott, Khris, Sunny Beth and Sandy. • Former Toronto Blue Jays star and Canadian Baseball Hall of Famer Dave Stieb will be making a rare autograph appearance in Toronto on August 15 at A.J. Sports World in Vaughan, Ont. Stieb will be in town for the 30th anniversary of the 1985 Blue Jays team celebration that will take place at the Rogers Centre that weekend. For more information on Stieb’s autograph appearance, follow this link. • This week’s trivia question: In 1985, Dave Stieb pitched 265 innings, while his rotation-make Doyle Alexander hurled 260-2/3 innings. After 1985, when was the next season that the Blue Jays had two pitchers toss more than 260 innings in the same season? And who were the two pitchers? Please provide your answer in the “Comments” below. The first person to provide the correct answer will win a signed Dave Stieb baseball card. Trivia answer: I believe it would have been 1997: Roger Clemens and Pat Hentgen. Hi Len. Yes, you are correct. Thanks for participating. I’ll mail the card out to you tomorrow. Thanks again. Great stuff Kevin. I forgot about Cubillan, I enjoyed watching him throw he had some potential with his slide piece. Thanks for the comment, Brent. I was reading the Toronto Star article from the day after the trade. Jim Fregosi, the Blue Jays manager at the time, appeared to be more concerned about losing Cubillan than Young. Jeff for sure deserves another shot with the Jays. Their bullpen needs a shakeup. Young sure would have looked great at 2nd base for a decade, but then again we got Bautista for who…..? Yep, it works both ways for sure. Thanks for the comment, Scott. Bautista for Robinzon Diaz. Yes, that was a steal.